Great burn, awesome hot and cold fragrance throw. 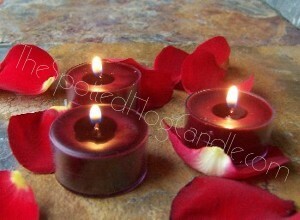 Each candle is hand made to order as always. 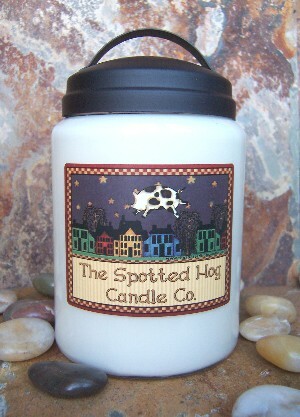 The Spotted Hog® 100 % Soybean candle line is dye free ( no coloring added ) to stay a natural as possible we also use 100% natural cotton fiber wicks .The color of your candle will be white or ivory depending on the fragrance oil added to the candle. Note: We send out your order as soon as possible but do recommend that you allow the soy candles to sit for about a week or so before you burn them to allow the candle to cure for optimal throw. Burn time is well over 200 hours. This jar is largest size we carry and it’s on sale ! This beautiful apothecary jar is double wicked with 2 natural cotton fiber braided wicks for a complete and even burn. Comes with a black metal lid with a handle. Choose your color and fragrance combination to the right. Burn time is over 150 hours. 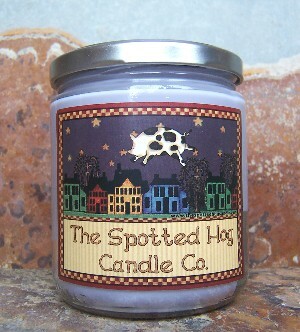 Our most popular candle ! This Beautiful jar is double wicked for a complete and even burn, for this 100% Soybean candle we use all cotton fiber wicks exclusive to The Spotted Hog Candle. This is the perfect size jar so even when the candle is burned half way down you are still able to get your hand in the jar to light the candle with out long lighters. Comes with a beautiful wooden "stay fresh" lid. Burn time is approximately 130-150 hours. Allot of customers have requested a more contemporary jar candle in the 16 oz size. This new jar is smooth sided and has a silver one piece screw on lid. This jar is wider then the Original 16 oz jar so it tends to have a longer burn time. Perfect in any room in your home. * Natural cotton wicks that will break to the precise length, before each burn, just snap the wicks with your fingers and they are ready to go. Triple Scented Clear Cup Tea lights. Burn time is 6-7 hours each. Not for use in tart burners. Enjoy your favorite fragrances in our clear cup tealights, now in 100% soy! Meet the new replacement for clamshells. 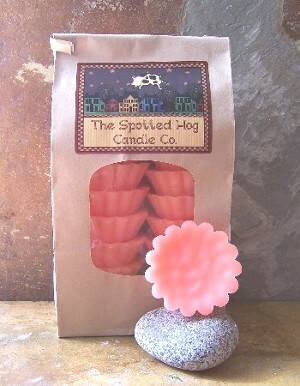 Two Hog shaped super scented tarts packaged in a resealable cello bag. Keep one,share one, cut them in half, whatever you need to do, sit at the table and play with them and make oink sounds, we wouldn't judge you. The exact equivalent of our clamshells but better because, well, they're pigs! Now you can sample many different fragrances instead of being committed to 12 tarts of the same scent. These tarts weigh approximately 3 to 3 1/2 ounces total, easy to break. Great to mix and match fragrances. So many of you requested that we carry this item. Now you can sample many different fragrances instead of being committed to 12 tarts of the same scent. These tarts come in a handy container and weigh approximately 3 ounces total, equivalent to 3 full size tarts. Each cube is 1” x 1” and easy to break. Great to mix and match fragrances . 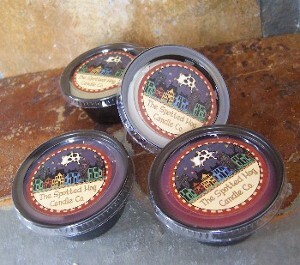 Easy to store and use, each cup holds 2 oz of our special Soy wax blend. Just pop the soy tart out of the cup, place into your melter and enjoy hours of fragrance. Most tarts sold are 1 oz, we do advise you to cut the tart in half for tart warmers with smaller melting dishes. 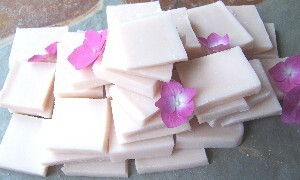 Enjoy One full pound of our triple scented Soy Wax Tart Brittle. This will arrive in a bakery bag. Break off chunks of wax and melt in your tart warmer. Scalloped shaped tarts in Soy! 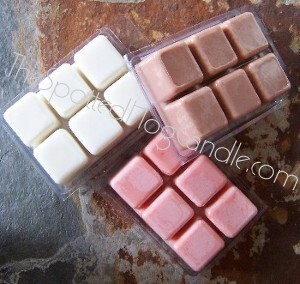 They are a great way to have many different fragrances without taking up as much space as full size candles. These full 1.3 oz Triple Scented Tarts really pack a punch! Be prepared to be pleasantly surprised when you burn our tarts. One full sized tart will fill your entire home with a pleasing aroma. ~ Soybeans are a renewable and sustainable resource grown by American farmers! ~ Great hot and cold scent throws. Scents become even stronger the longer soy candles are stored away. ~ Easy clean up with hot soapy water. We use no other additives other then fragrance in our Soybean line unless you request a color. Soy candles have a tendency to discolor in direct natural sunlight and when exposed to extreme temperature variations, please be careful where you place them . This will have no affect on the way the candle performs. 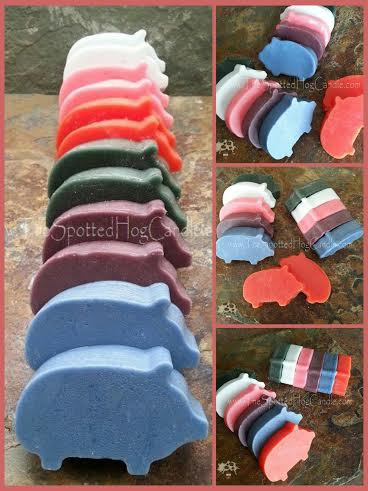 If you are new to soy please note that 100 % soybean wax may appear bumpy on the surface when the candle hardens again after burning, This is normal and is just the nature of the 100% soy bean wax.